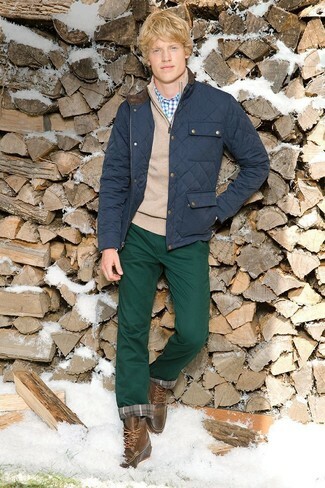 If you're after a casual yet sharp ensemble, wear a navy quilted field jacket with dark green chinos. Both pieces are totally comfortable and will look great paired together. To add elegance to your ensemble, finish off with brown leather casual boots. For a smart casual look, dress in a brown wool blazer and Heart & Dagger tapered cropped trouser from Asos — these two items play wonderfully together. Add a sportier vibe to your look with white plimsolls. 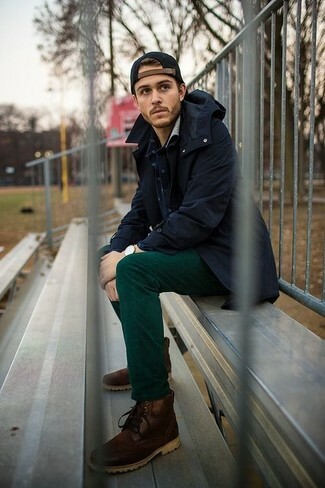 If you're hunting for a casual yet sharp getup, opt for a navy field jacket and dark green chinos. Both pieces are totally comfortable and will look great together. 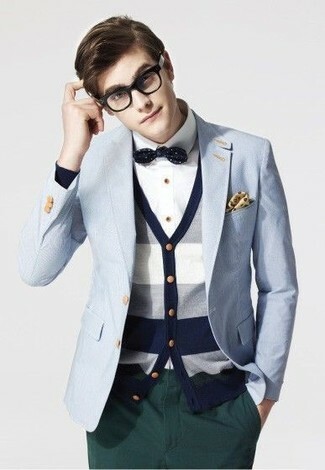 Got bored with this ensemble? Enter dark brown leather casual boots to jazz things up. If you're hunting for a casual yet on-trend ensemble, consider pairing a black crew-neck sweater with Heart & Dagger tapered cropped trouser. Both items are totally comfortable and will look great together. You could perhaps get a little creative in the shoe department and spruce up your look with dark brown leather loafers. This combination of a light blue blazer and Heart & Dagger tapered cropped trouser from Asos is so easy to pull together without a second thought, helping you look seriously stylish and ready for anything without spending too much time rummaging through your wardrobe. 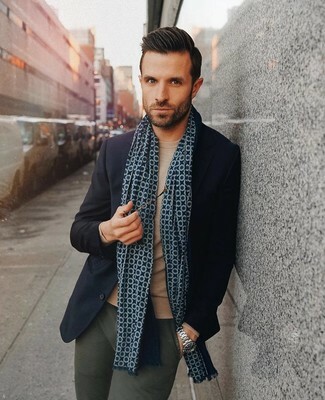 A navy wool blazer and Heart & Dagger dark green chinos are absolute must-haves if you're piecing together a classic and casual closet that holds to the highest sartorial standards. For a casually elegant outfit, dress in a grey plaid blazer and Heart & Dagger tapered cropped trouser from Asos — these pieces play pretty good together. 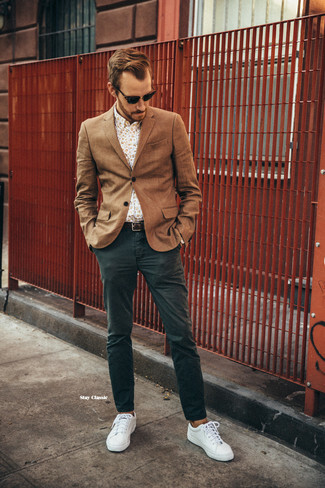 Rocking a pair of brown leather oxford shoes is an easy way to add extra flair to your ensemble. 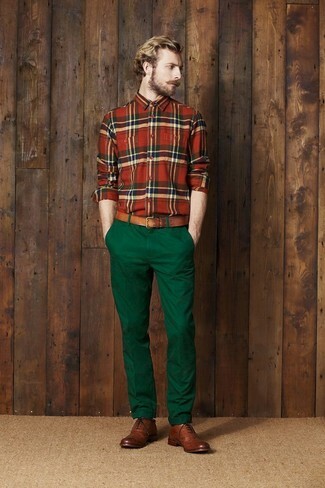 This combination of a green and red plaid long sleeve shirt and Heart & Dagger tapered cropped trouser is simple, seriously stylish and very easy to copy. 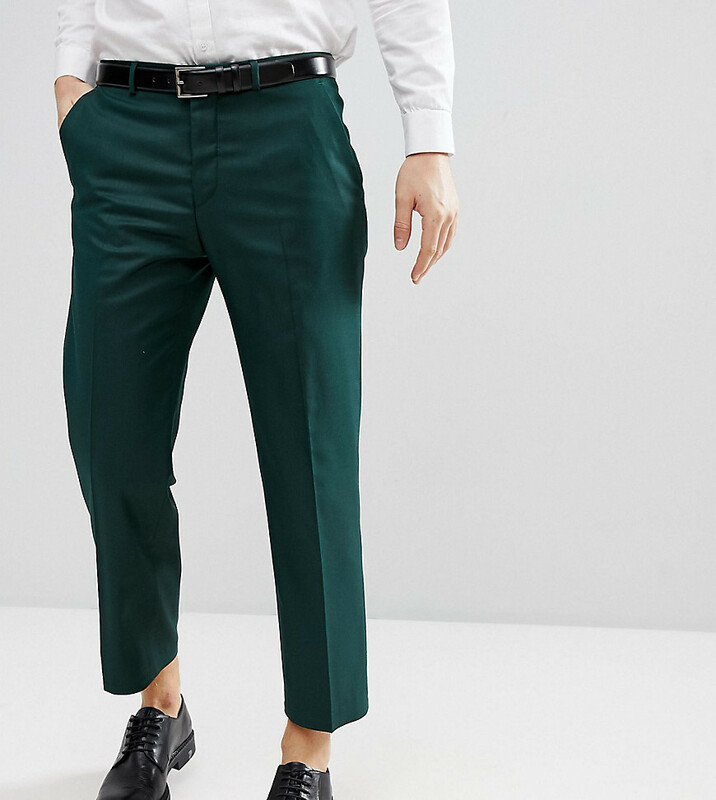 Lift up this look with brown leather brogues. 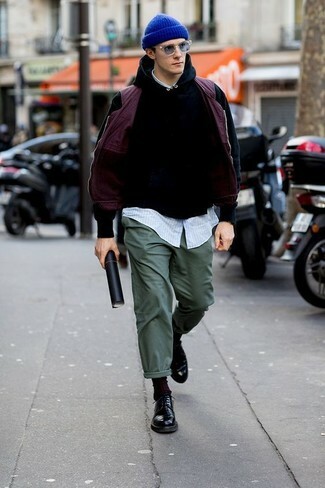 If you're after a casual yet sharp outfit, go for a purple gilet and Heart & Dagger tapered cropped trouser. Both items are totally comfortable and will look great together. 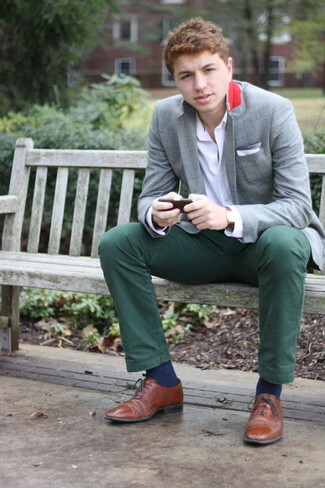 A pair of black leather derby shoes will add some real flair to this ensemble.